Alright, I’m probably not going to fool the IRS on this one. Nor will I try. At most, I might dare to write off my own airline ticket. I’ll let my accountant make that call…which is me at the moment. When I started writing Black Flagged Redux, I knew that one of the final scenes would take place in a Scandinavian country. Finland or Sweden seemed most logical, since either country was a convenient travel route out of northwestern Russia, which is also a major setting for the story. 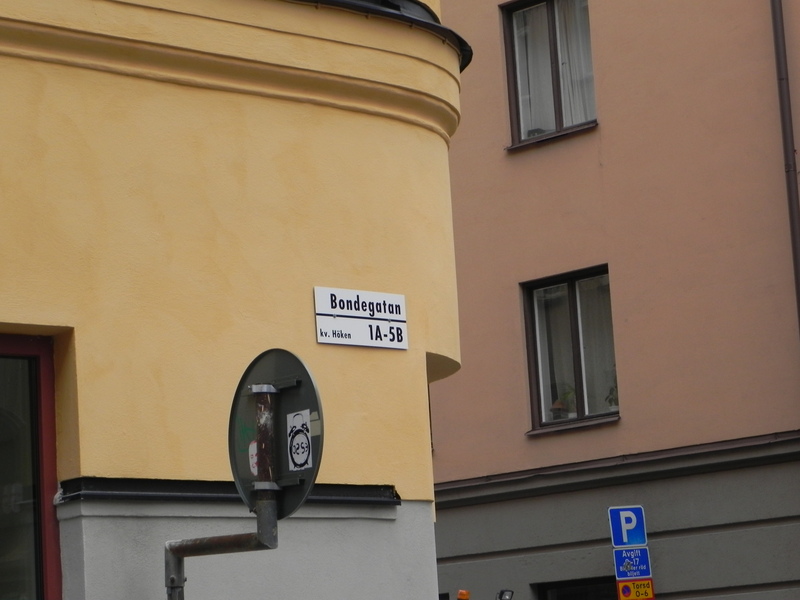 Since we were traveling to Stockholm, I decided this would be the location for book’s climax. This would allow me to research the streets of Stockholm first hand. Of course, I finished the novel almost six weeks before my “research trip.” Go figure. Fortunately, everyone took time with their piece of the puzzle…editing, cover art, pre-reader feedback. All effectively blocking the temptation to launch the book before my vacation. I really wanted to head out to Europe with a clean slate so to speak, but I’m so glad my impatient plan didn’t work out. There is nothing quite like walking through a foreign city and seeing the action from one of your books play out in front of you. How often does a writer get to lean up against the same stucco wall as one of their characters…in a city six time zones and one ocean away. Pretty cool to say the least. Only about fifteen people could know the significance of the following pictures, but after you read the book, you’ll look at these pictures very differently. First thing Daniel Petrovich and Hans Schafer see when rounding the corner onto the street. I didn’t envision the trash…nor did I expect to see the very address I chose for my book to be under construction! I’m not kidding you when I say that this is the only building in Stockholm that I saw under a blue tarp. I guess it makes sense given what happens in the book. Look, there’s even a white van! 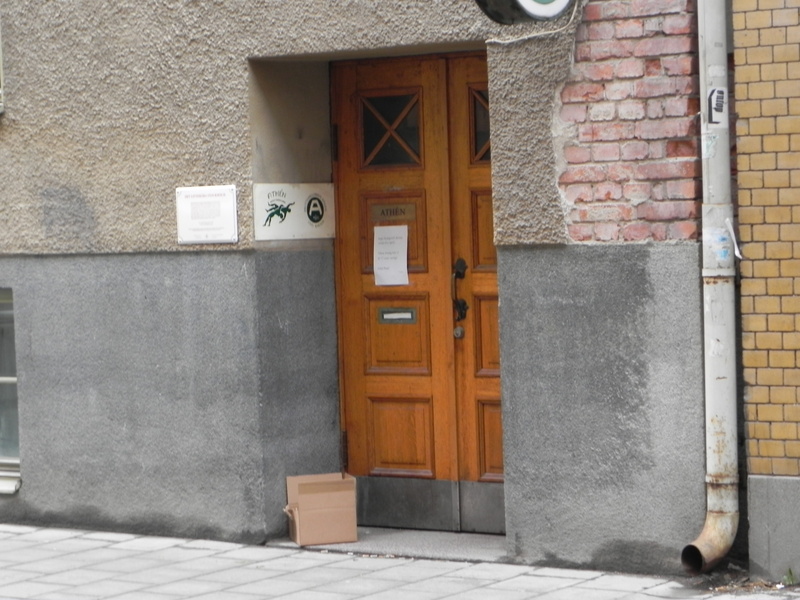 View of cafe in book, from the entrance to Reznikov’s apartment. It was a little busier in the book. At this point, people were starting to give me the hairy eyeball, so I felt a little uncomfortable taking close ups. This is the entrance to Reznikov’s building. You can imagine that this doorway alcove would provide decent cover (in either direction) for a Spetznaz operative. Not much chance of a 5.56mm round penetrating those walls. That’s it. A ten minute detour on the way to pick up our rental car. 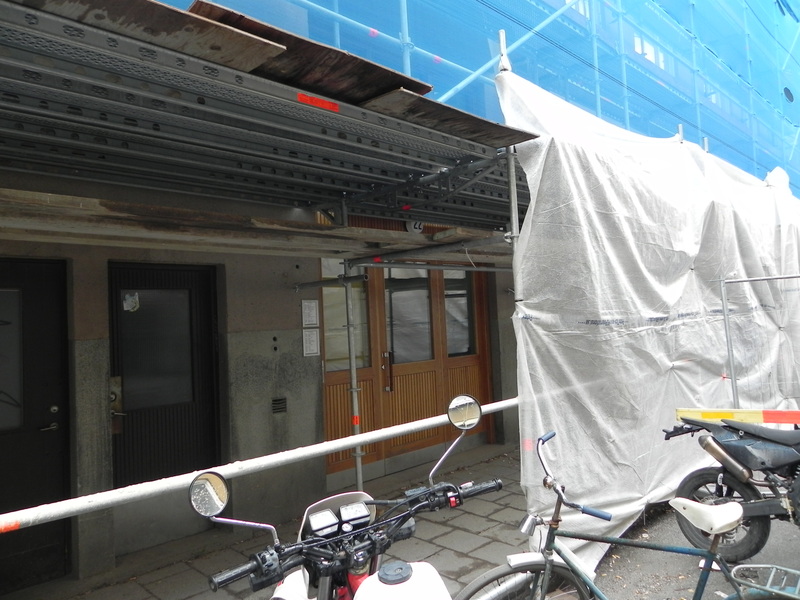 I was a little bummed to see the blue tarp at 22 Bondegatan, but had to appreciate the irony of the situation. Goes to show that Google Maps can only take you so far in your research. Actually, I’d be quite lost without Google Maps. What you can’t get from the internet is a sense of the city. After the trip, I spent some time adding details to the Stockholm scenes that could only be captured by actually standing on the sidewalks or driving the busy streets. I’m pretty sure that General Sanderson’s next headquarters will be based out of Mexico…right on the beach next to an all inclusive resort. I can’t afford to get the setting wrong on that one. I’ll need to stare at that beach for quite some time to get into General Sanderson’s head. Will save these scenes until I read “…Redux”. I was really fortunate to be traveling in the same direction. Not very often that the stars align to allow something like this to occur. I just had to laugh when I saw that the building was under construction. Appropriate given the what happens in the book, but I really wanted a few shots of the building’s facade. I find Stockholm a grey ugly city, maybe this is exactly what you wanted for your bok? More exciting if you traveled to Bergen an old beautiful city on the wesrt coast of Norway.. 😉 I mean if i was a reader i guess i wouldn’t have liked to experience the coldness and greyness of Stockholm.. I think if we had visited in the late fall and winter, this may have been the case. 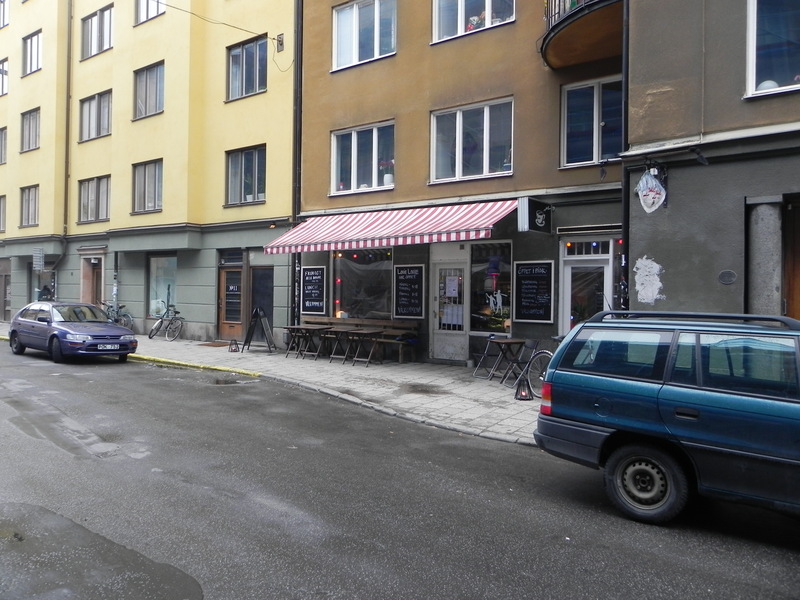 We found the city energized and colorful in Spring, but heard stories from the Swedes about the dark winters and grey gloom that descends on the city. It certainly wasn’t as colorful or picturesque as Copenhagen, but we appreciated the friendliness and ease of Stockholm. Bergen sounds wonderful. We love Scandinavia, and would like to expand our travels their to Norway and Finland. We also drove a rental car from Stockholm to Kalmar, then up to the ferry crossing at Helsingborg. Very different than Stockholm. As for the book setting. 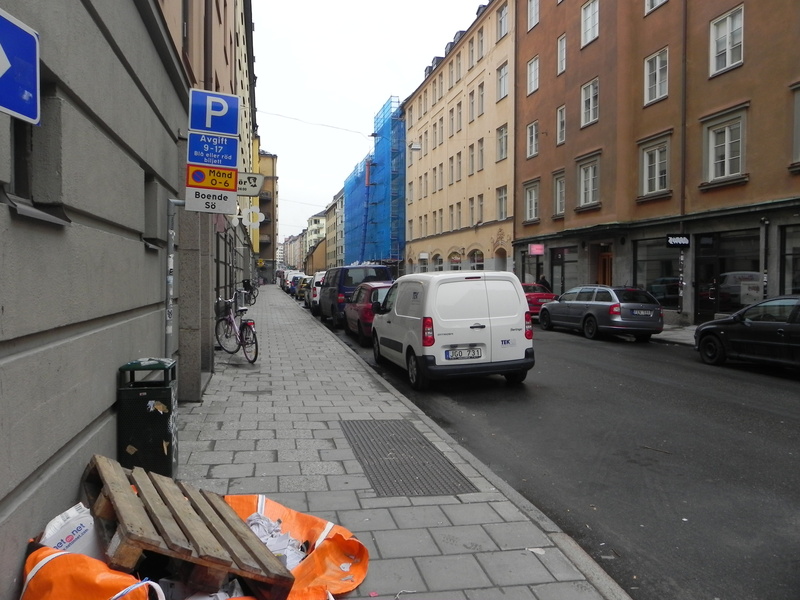 Only one scene takes place in Stockholm, and it doesn’t rely on any particular theme or feeling from the city. I wanted to steer away from the standard array of choices and explore Scandinavia. In retrospect, it turned out to be a better choice than Copenhagen. I would have felt bad staging a shootout in Copenhagen. The city was beautiful. Thanks for the comments. If you have any more Scandinavia tips, please pass them my way. We’ll no doubt be headed back. Samurai Duress game endless Gems Gemstones are generated to by defraud! |. I was moved enough to drop a thought 😉 I do have some questions for you if you tend not to mind. mean research trip to Scandinavia |. And I actually do have a few questions for you if you tend not to mind. I’d like to follow everything fresh you have to post. Could you list of every one of your social sites like your twitter feed, Facebook page or linkedin profile? the Standard Mode and the lovable pig mascot Archie. Now let’s come back to the numbers: 153,000 inmates cost the taxpayers 2.
throughout the state. The weapons” training does not just begin from the first day itself. here within the submit, we need work out extra techniques on this regard, thanks for sharing. accurate and they look elegant and modern in contrast to the normal weighing scale, which you discover that are available in the market. The total look of your web site is great, let alone the content material! site needs a great deal more attention. I’ll probably be back again to see more, thanks for the advice!